The subject of spanking is baffling to many parents. Part of the problem is the confusion of the times in which we live. It has been popular for more than half a century to decry corporal punishment as inherently inappropriate, counterproductive, and detrimental to the child. Psychologist, mother, and well-known anti-spanking activist Penelope Leach distills the typical humanist perspective on corporal punishment: "I believe that spanking--or tapping, or slapping, or cuffing, or shaking, or beating, or whipping--children is actually wrong. I also believe . . . that far from producing better disciplined people, spanking makes it much more difficult to teach children how to behave" (Online Source). Notice how she equates spanking with slapping, cuffing, shaking, beating, whipping, and "tapping." But those are not all the same thing, and they should not be likened to the rod of discipline administered in love. Opponents of corporal punishment will often cite surveys and statistics that seem to support their findings, but precisely because they begin by equating brutal acts of violence against children with properly administered corporal discipline, their results are skewed. Of course cruel punishment and brute violence against children is wrong, counterproductive, and unbiblical. But, Scripture does nonetheless prescribe the rod of discipline as a necessary aspect of parenting. In fact, Scripture flatly contradicts modern opponents of corporal punishment: "He who spares his rod hates his son, but he who loves him disciplines him promptly" (Proverbs 13:24). "Foolishness is bound up in the heart of a child; the rod of correction will drive it far from him" (22:15). "You shall beat him with a rod, and deliver his soul from hell" (23:14; see also 10:13; 19:18). Moreover, according to a 1998 article in U.S. News and World Report, "parenting experts" have based all their findings against corporal punishment "on a body of research that is at best inconclusive and at worst badly flawed" ( Online Source ). According to the article, some recent studies indicate that spanking, when used appropriately, does indeed make children "less likely to fight with others and more likely to obey their parents." In fact, in one very thorough study, Psychologist Robert E. Larzelere, director of residential research at Boys Town in Nebraska, found that no other discipline technique, including timeout and withdrawal of privileges, had more beneficial results for children under thirteen than non-abusive spanking, in terms of getting children to comply with their parents' wishes. Many who oppose corporal punishment simply are not willing to look at the facts and statistics rationally. One critic of spanking bluntly states that as far as he is concerned, "Hitting children is not a subject to which rational debate applies. It is another manifestation of American's unique exploitation of children as models for absolutist behavior standards and austere punishments that grown adults would not impose on themselves" (Mike A. Males, The Scapegoat Generation, 116). Christian parents should not be duped by such "experts." Scripture itself prescribescorporal discipline and cautions parents not to abandon the use of the rod. 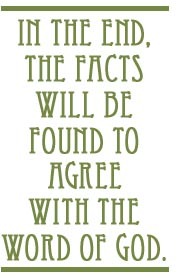 In the end, the facts will be found to agree with the Word of God. And in that vein, the U.S. News article actually offers some tidbits of very sound advice: "One lesson of the spanking controversy is that whether parents spank or not matters less than howthey spank. . . . A single disapproving word can bring a sensitive child to tears, while a more spirited youngster might need stronger measures. Finally, spankings should be done in private to spare children humiliation and without anger" (Online Source). Furthermore, spanking is by no means the only kind of discipline parents should administer. There are many other viable forms of punishing children that, on occasion, can be used in addition to the rod. If the child responds immediately to a verbal rebuke in a given situation, a spanking is probably not necessary. Other punishments, such as withdrawing privileges, can also be used as occasional alternatives to spanking if the situation warrants it. Much of our parental discipline should be totally positive. Parents can and should provide guidance for their children by rewarding them for positive behavior, as well as by punishing them for wrong behavior. Both sides of the equation are important. Positive motivation is entirely legitimate and can often be an effective means of getting children to obey. Notice, in fact, that the promise God Himself attached to the Fifth Commandment is a positive motivation. The commandment was reinforced with a promise, not a threat. It is often appropriate to say to your child, "If you do this, I will reward you in this way." Balanced discipline involves both negative and positive reinforcements. In fact, we might sum up all discipline by saying it means giving the appropriate reward for the conduct. When the conduct (including both attitudes and actions) is good, a positive reward is warranted. When the conduct is bad, a negative reward is in order. It's really that simple. Today's article was adapted from John's book, Successful Christian Parenting , (Thomas Nelson, 1998). Well if the Bible says to inflict pain on children, then I guess we have to. Now, some children have congenital analgesia, a condition where they can't feel pain. But my guess is that God just didn't think this through very well. Maybe God meant well by it, but in the end, he comes off as a little uneducated. Corporal punishment is an unnecessary trauma inflicted on children today and therefore should be legally recognized as a form of child abuse. I realize that this is a strong claim, and not one to be said lightly. I’d like to bring to light certain arguments against this claim, and address them one by one. I will also propose a few solutions to this matter, and explain how I’ve come to those conclusions. The first argument advocating corporal punishment is that a lot of Christians believe that the Bible quotes the phrase “Spare the rod, spoil the child,” when in fact, this is a phrase coined by Benjamin Franklin. What the Bible does say is, “Foolishness is bound in the heart of a child; but the rod of correction shall drive it far from him” (Proverbs 22:15 KJV). Let’s assume that Christians don’t take this literally in that it must actually be a rod. Many Christians believe this verse means to inflict some sort of physical pain on their children, and that this is the God-given means of discipline. What these Christians aren’t considering is a health condition known as congenital analgesia, where a person is incapable of feeling pain at all. That being said, we have to assume that all children are different, and we cannot take this verse to mean that we must inflict physical pain on a child. For those Christians who believe that such a law would infringe on their religious freedom, I’d like to point out that we Americans make no apologies for passing laws that does so if their religion requires them to infringe on other people’s rights (take, for example, the Anti-Polygamy Act that was passed in 1862, even though many Mormons believed that it was God’s will for them to marry and breed their daughters with their Prophets and other religious leaders as young as eight years old). This brings me to the next argument which is that most people will admit that every child is different, and what works on one child, does not work on all children. So, at this point, we need to construct a way to influence children without necessarily inflicting pain. It’s true that taking certain privileges away from children is effective on many children, but certainly not all. So, let’s figure out which children are in need of discipline, and what modalities to use on different children that will prove to be effective. In many cases, if a parent conveys that a child’s action gives the parent a certain amount of grief, the child will refrain from doing that action. For this to work, however, we have to assume many conditions. One, the child does not suffer from developmental impairment. Two, the child is old enough to understand empathy. Three, the child does not wish to grieve their parents. So, to put it another way, if a child does not want to grieve a parent, and a certain action causes their parent grief, they will naturally want to avoid the action. The exceptions to this are that the child suffers from a developmental impairment, or cannot fathom how or why a parent would be grieved. The way in which a parent is to convey to the child that the action of the child causes grief for the parent will be different for every parent/child relationship. After all, every child is different. Suffice it to say that the mere communication to a child that the parent is saddened and disappointed is not hard to do, and certainly does not require pain. Is it really that easy? Could it be true that any parent could tell any child that they’re disappointed and they do as the parent says? Of course it’s not. I just punched several holes in this logic by giving several conditions in order for it to be this easy. In addressing the first issue with this argument, I’d like to point out a few mental conditions where disappointment of the parent would not come into play. Schizophrenia is a condition where someone’s perception on reality is altered significantly because their brain processes information consciously and subconsciously at the same time. To put it another way, they dream while they are awake, and their perception of reality is some mixture of the two. In such circumstances, is it really beneficial at all to inflict pain to get a point across? It’s possible that it could take hundreds of occurrences before the child would even know or remember what’s happening. And if that were the case, the confused child may never be able to put together any pattern of one action on their part leading to a consequence. On such children, corporal punishment is highly ineffective and therefore unnecessary torture. Our best action is to keep these children under close watch, and simply restrain them from harming themselves, other people, or property when possible. Another mental illness, which leads me to my next condition, is autism, a condition where someone lacks the ability to pick up on social rules, including empathy. Remember that not all children are alike and not every child will respond to privileges being taken away? Well, these are the children on whom that modality is most effective. It’s easy to understand why this would work on these children. At no fault of their own, they are completely self-serving. The modality of “truth and consequences” will work just as soon as they are old enough to pick up a pattern, largely based on being told that the consequence will follow that action, and if the consequence is carried through. In these cases, taking away privileges would prove to be just as effective as inflicting pain, provided that the privilege is important enough to persuade a change in behavior. On the other hand, if a child is simply too young to understand empathy, they are at best to the point in life to understand patterns, such as truth and consequences. If they are too young to understand patterns, or too young to have a sense of an activity being important, then inflicting pain on the infant is not going to prove to be productive anyway. I’m not saying that corporal punishment does not work. However, do we care only about the results regardless of the mental or physical harm? Some would argue that children are to mind regardless of what they think of the parents. “A good spanking is exactly what some kids need,” some would argue. I think that parents who think like this are blinded by the immediate results of corporal punishment. To that, how would a parent even know if a child is full of hatred and rage if they simply shut up and did what they were told? I would also ask why they don’t whip a child until they collapse from exhaustion as this would also prove to be as much or more effective. It’s safe to say that any reasonable parent not only wants their child to do as they’re told, but also wants them to respect the decision the parent has made, and not angrily fall in line out of fear all the while storing up malice and hatred. The reason most of us would not beat a child until they collapse is because we recognize this as being unnecessary to go to this extreme, and if it is unnecessary, it should be considered “excessive force.” Excessive force is already recognized as abuse. However, states vary in what they classify as such. Another argument to advocate corporal punishment is the common phrase, “I was spanked when I was a kid, and I turned out just fine.” I don’t really think this is a good argument. My grandmother took a belt buckle to her children’s faces, breaking the skin, and causing bruises. My grandmother also quoted this same phrase to concerned observers of her actions. So, just because someone diagnoses themselves to have turned out “just fine” does not mean that they did. Usually when you suggest to an adult victim who advocates corporal punishment that it is a form of abuse, they give the answer that they deserved it. In studying patterns of abuse, isn’t it common that abuse victims blame themselves for the abuse, and when they do, are more apt to repeat the offense? This assumption of blame is often used by known victims of abuse. So, I really don’t see where this justification holds much merit. One thing that’s important to understand about children is why they break the rules that are given to them to follow. One, they are ignorant to the rule. This should lead to an educational conversation. If they are too young to understand even a “no”, then corporal punishment is only going to upset the child, and won’t prove effective. Two, they know the rule, but either do not care, or are simply exploring life and trying to test limits. In essence, they are begging to know the rule of truth and consequences. If they are too young to understand that every time they do an action they are confined to a crib, then you should probably wait until they can “connect the dots” before introducing any form of discipline. (Usually the only infraction of rules committed by a child who doesn’t even miss the world outside of their crib when they’re in the middle of playing, is an infraction to do with safety when a child is merely exploring their world.) I've informally debated the abusiveness of corporal punishment for years and I almost always hear about smacking a child’s hand when reaching for an electric receptacle. If the child is too young to understand the danger of an action, it is the parent’s responsibility to remove the child from harm’s way, or take some parental responsibility and childproof the danger. The third reason children deliberately want to break the rules is as a form of revenge. This one can be just a little tricky. The only reasons a child would want revenge on a reasonable parent that owns the respect of the child is if: one, a rule was enforced where the child lacks an understanding of the reason for the rule, and, two, if the child disagrees with a disciplinary action that the parent utilized. In either case, we’ll assume that the parent is a good one who has successfully conveyed that they are on the child’s side, and has acquired their respect. The answer is simple. Once again, convey disappointment. This will confuse the child’s logic in that the parent did not react in rage, and instead they hurt the parent emotionally. The child, then, will strongly conclude that this action leads to undesirable consequences, and will likely not repeat the offense. On a side note, a good parenting strategy to keep the high level of respect is, after successfully conveying the disappointment, and ending that process, inquiring with sincerity the reason for the misbehavior. 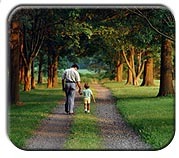 This is an excellent time to open up communication about any misunderstanding that the child, or the parent, may have. To summarize, the circumstances where a child breaks a rule is where a child either knows a rule, or doesn’t. If they don’t know, then it needs to be explained before discipline is the price to pay. If they do know the rule, they either are trying to find out what will happen if they break it, or they know what will happen and don’t care. If they don’t care, it’s because the parent isn’t taking away something important enough (if that’s the discipline used), or they don’t care that the parent is disappointed (if this is the form of discipline used). In order for them not to care, it’s because they find no reason to respect the parent enough to care about their feelings (which is the result of a parent not showing that they love the child and have their best interest at heart), or because the child wants revenge. If the child wants revenge, it’s because the parent did something the child didn’t like. If this is the case, the parent confuses a child’s logic by conveying disappointment. This goes back to the child loving the parent enough to care about their feelings. The loophole is when a child is incapable of knowing or caring about the parent’s feelings. The reasons for this are age/maturity, and developmental impairments. In cases where a child is too young to understand others feelings or pick up on patterns (truth and consequences), then any form of discipline is excessive. In cases of developmental impairment, sometimes truth and consequences is still effective. In the cases where a child’s developmental impairment prevents them from understanding patterns of cause and effect, then any form of discipline is excessive. I, for one, do not appreciate when a government makes the way that I live my life and the relationships of my family to be their business. A parent should have the right to “raise” their children in whatever way they see fit, and I advocate a parent’s rights. However, I also advocate a child’s rights even more. If we are willing to stand up for the adults when a 14 year old beats and injures and parent, calling it “assault,” then why in 49 states are adults allowed to hit children? Worse still, in many states a parent is justified by the law if they injure a child during discipline as long as it was an “accident.” This, unfortunately, is not considered excessive force. I think I’ve proven that inflicting pain on a helpless child is, in fact, unnecessary as long as a parent is “reasonable.” If a parent finds themselves in a situation where they feel that they have no choice but to resort to physical violence against a child (who is not supposed to fight back) because the child is so full of disrespect, anger, and spite, I don’t think the problem is that the parent isn’t hitting the child hard enough. I think it’s a sign that the child is being mistreated in the first place. Stokely, Anne. “Point: The Negative Impact Of Corporal Punishment.” Points Of View: Corporal Punishment 5 (2013): n. pag. EBSCO. Web. 19 July 2013. Wolraich, Mark L., Javier Aceves, Heidi M. Feldman, Joseph F. Hagan, Barbara J. Howard, Anthony J. Richtsmeier, Deborah Tolchin, Hyman C. Tolmas. “Guidance for Effective Discipline.” Pediatrics Official Journal Of The American Academy Of Pediatrics. 1998: 723-728. Print.